It’s more than noble, and it’s certainly not noble idiocy, as I honestly can’t think of a way out for them. 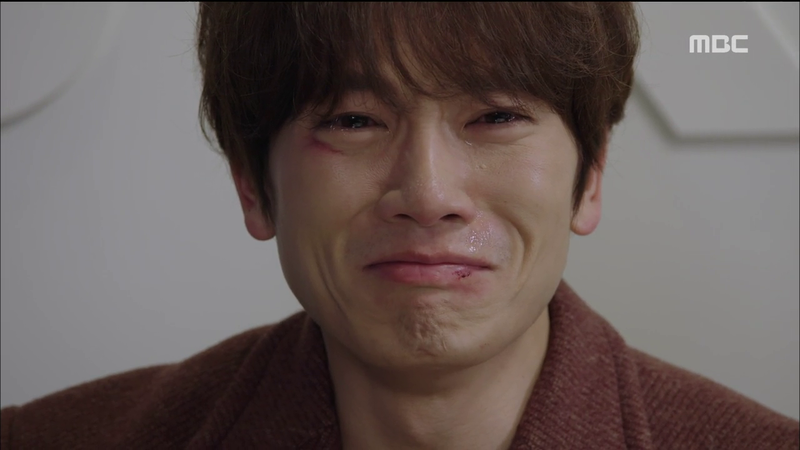 It’s one thing with Choi In Ha and Dalpo, casting longing glances at each other whenever the other isn’t looking instead of fighting together and dispensing with the useless angst. THAT is noble idiocy, when you have a smarter option but you aren’t taking it because you want o be stupidly noble. What Dohyun is doing is far, far beyond that. He’s sacrificing the one person in life he holds dearest so that she will never have to fear anything. 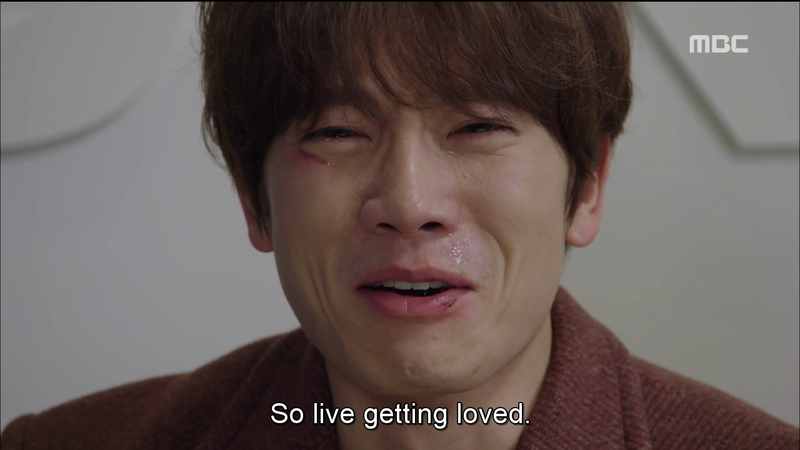 Dohyun doesn’t just care for Rijin. This is something born out of far more than simple gratitude for how she understands him and doesn’t fear his disorder, his attraction to just bright warm and caring she is, and his general fascination with her. He -and I don’t think anyone who has seen today’s episode can disagree with this- adores her. I’ve never had cause to use this word in conjunction with a character’s relationship before simply because ‘love’ was always enough. But what he’s doing here goes above and beyond that. 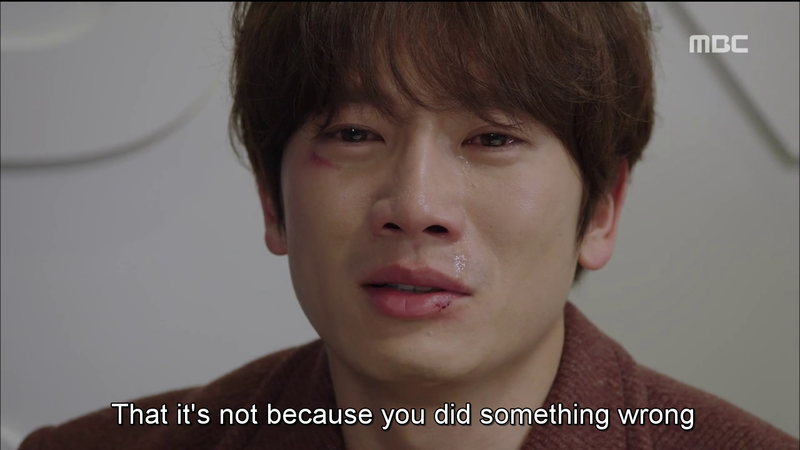 Ji Sung owns this episode, with the palpable agony in his eyes, with the awful heart-wrenching sobs he gives way to when realizing just how depraved his batshit crazy mother is, and his profound words to Ri On. There was even that heart-stopping instant when his gaze turned into that of Segi. Even screencaps won’t do this justice. 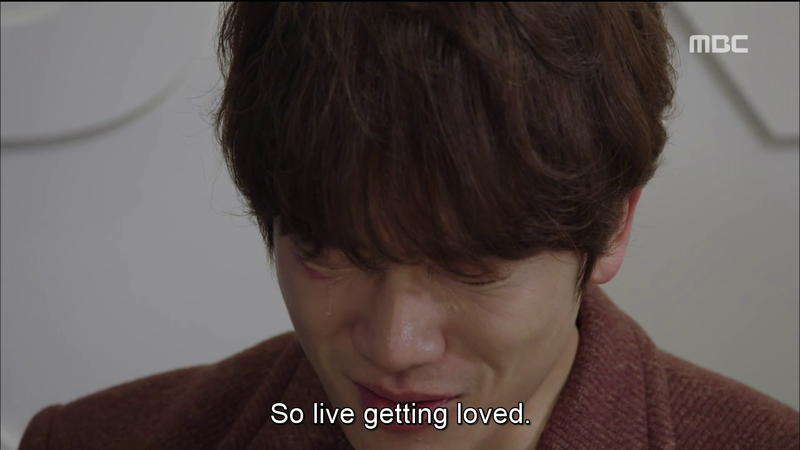 But what I find just as painful as his love and sacrifice is the enormous self-hatred he bears once again. Dohyun today, was just as gentle as he always was, but the teasing, the puppy-like smile in his eyes, the little kid excitement that ran through him has vanished. The Dohyun of old, of the first few episodes has returned, quiet, somber, with the weight of the world on him. For a few seconds on the roof, he even believed that he no longer had the right to touch her, to comfort her. Damn Cha Joon Pyo for destroying the minds and hearts of two children that way. 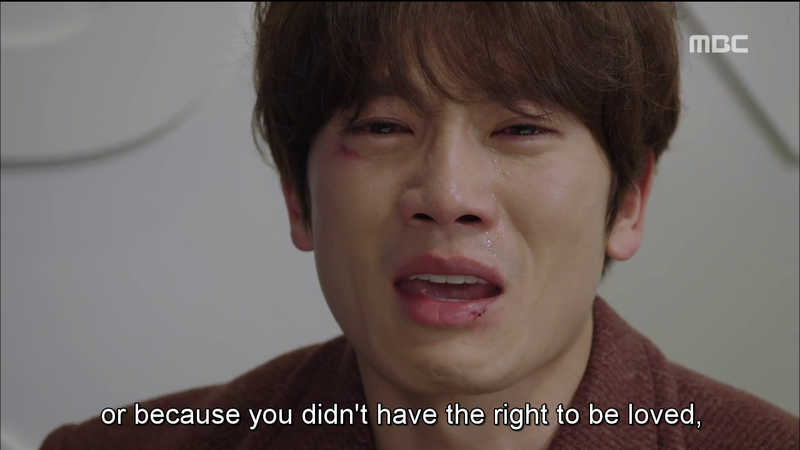 And Damn Shin Hwa Ran for caring for none of it, save her own self-interest. 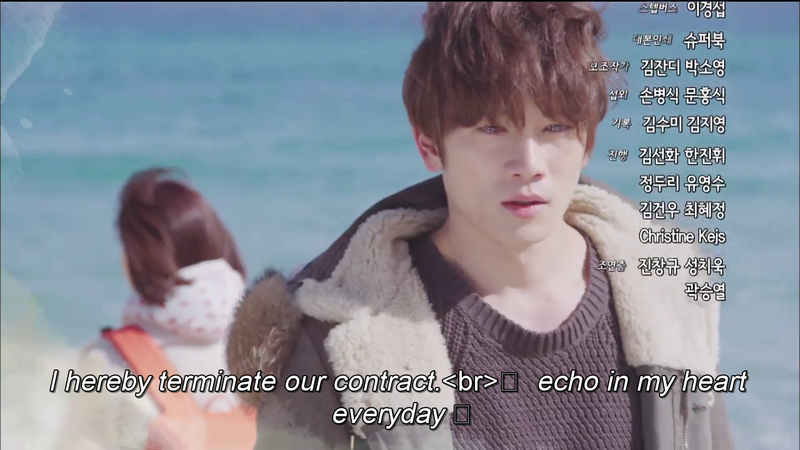 Dohyun may have retreated into himself yet he channels Segi’s rage and fury, coupled with several billion gallons of his own, towards Seungjin Group and its evil groomers. 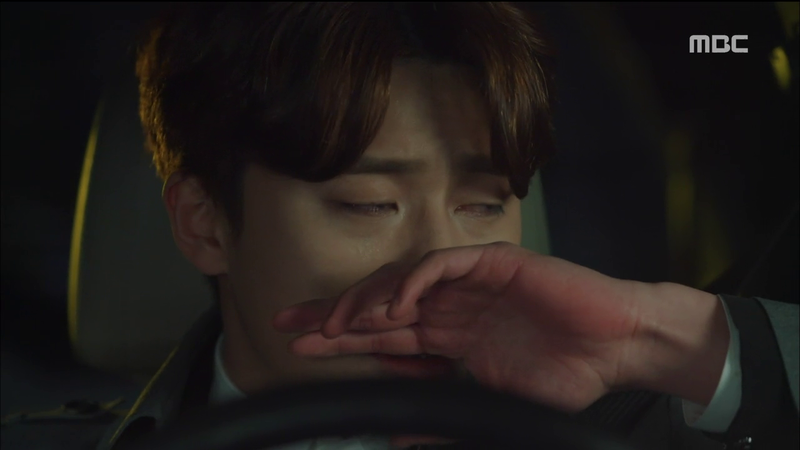 Yet any revenge he might wish would mean that Rijin would learn of her past, so Dohyun has little choice, as he sees it, but to leave, taking at least one source of Rijin’s pain with him. It’s an agonizing process to watch, even as I can’t think of a way out for him. Rijin needs to find what happened back there. 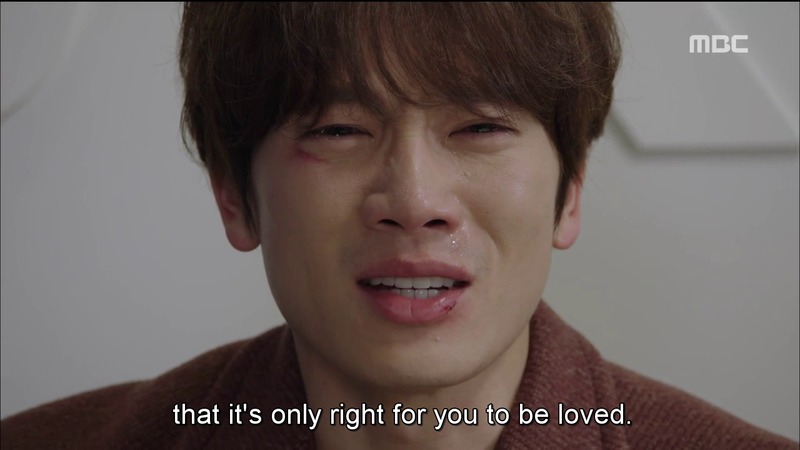 Not just for Cha Dohyun but for herself. And for either Dohyun and/or Rion to pull the curtain away from those memories would make them much less likable in my view. So who better to pull the plug than Grandma? 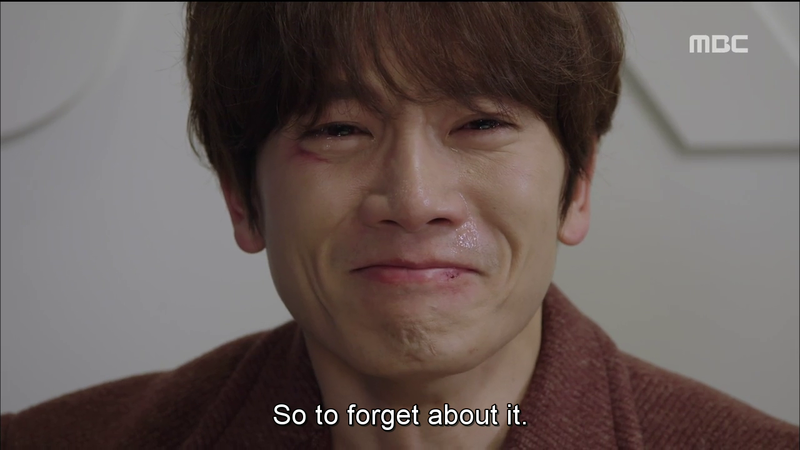 We all get a reason to hate her more and Rijin recovers her memories, so neither Dohyun nor Ri on need to bear that pain or make those sacrifices anymore. 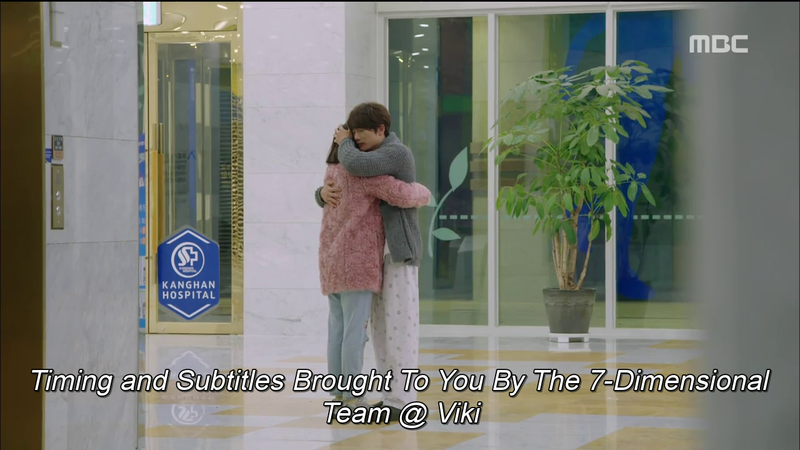 The preview for Episode 16 shows Dohyun and Rijin being adorable on their ‘final’ date (THERE WILL BE MORE, I think we can safely bet on that knowing this show) with Dohyun acting weird and sad and Rijin calling him out being the perfect human vitamin she is. 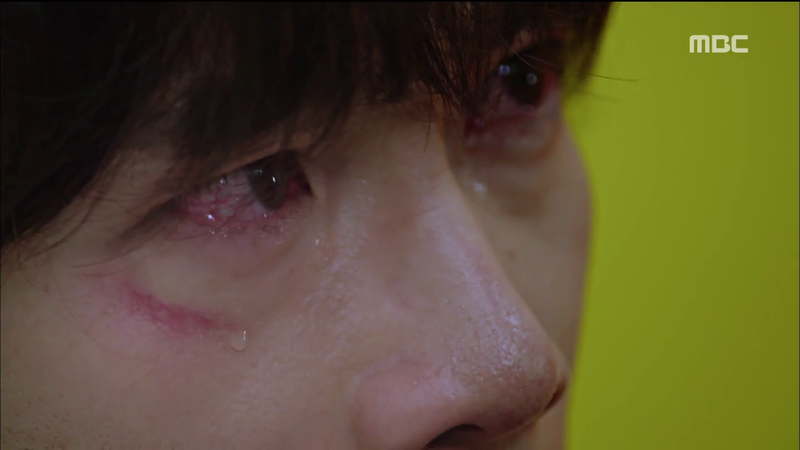 Dohyun says his requisite goodbye with enough pain in his eyes to fell what’s left of soul. 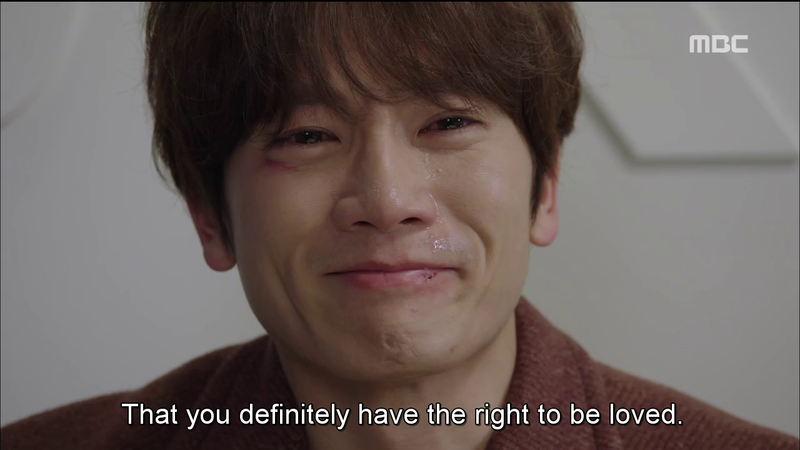 Considering how lovely he is, it’s gut-wrenching, and soul-shattering to see his pain. I can’t wait to see him smile again. Let this wave pass soon, show. Let’s have them firmly united, ready to battle anything and everything together as soon as possible. For, our poor puppy’s sake. This show has delighted me, and continues to surprise me at every turn. I’m not to deny that some worry does exist for what’s in store for us these final five (WHY? WHY? I want more!) episodes but I’m holding firmly to the idea that these characters, actors and writers won’t let us down. 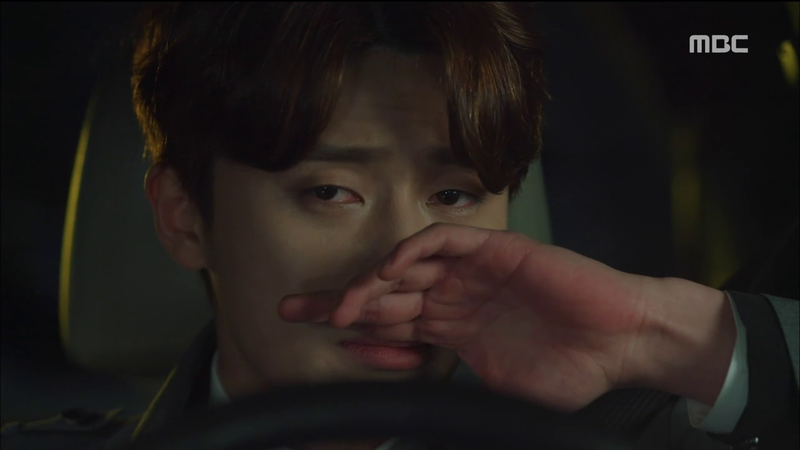 Ri On whom I thought would become this show’s antagonist, turned out to be a wonderful person, who cares deeply for Rijin in his own right, doesn’t feel the need to be a posturking jerk to Dohyun, and feels every inch of Dohyun’s agony, as we saw during that ending. 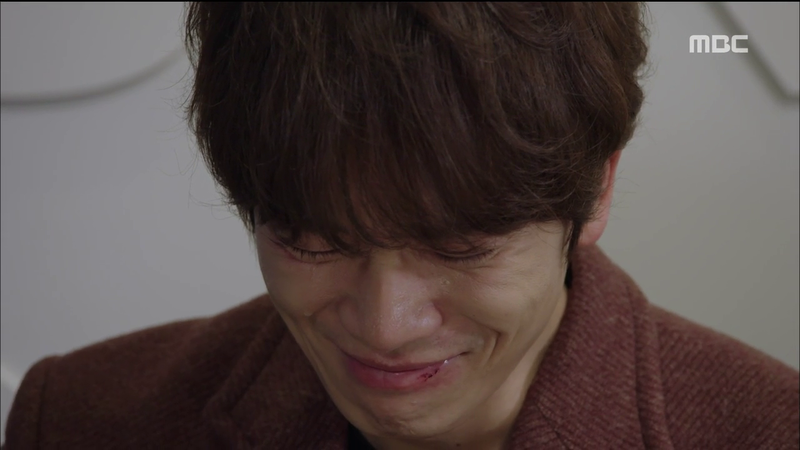 Given wonderful writing, acting (with Hwang Jung Eum and Park Seo Joong acting their chops off just as well as Ji Sung) and directing like this, I have faith that we’ll get our ending at the end of the rainbow. Can i just say first of all, this was beautifully written? I really hope that what u suspect for next ep is true too. I know Ri Jin is a character that faces her problems head on. She won’t back out. 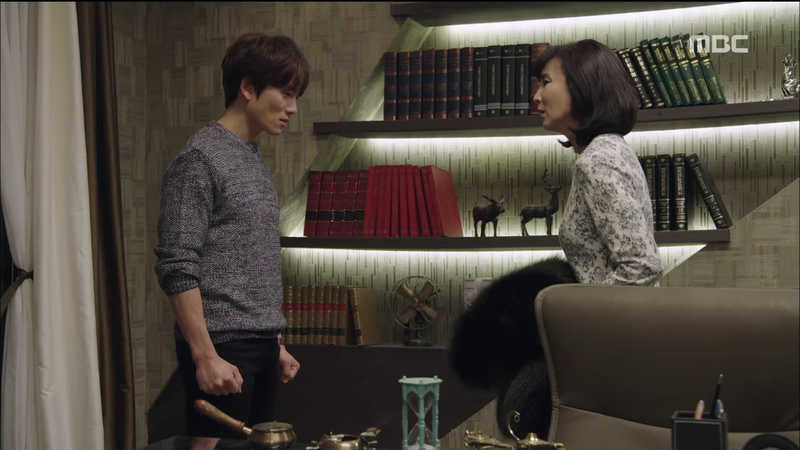 She’ll want to know what happened and will hold onto Do Hyun. 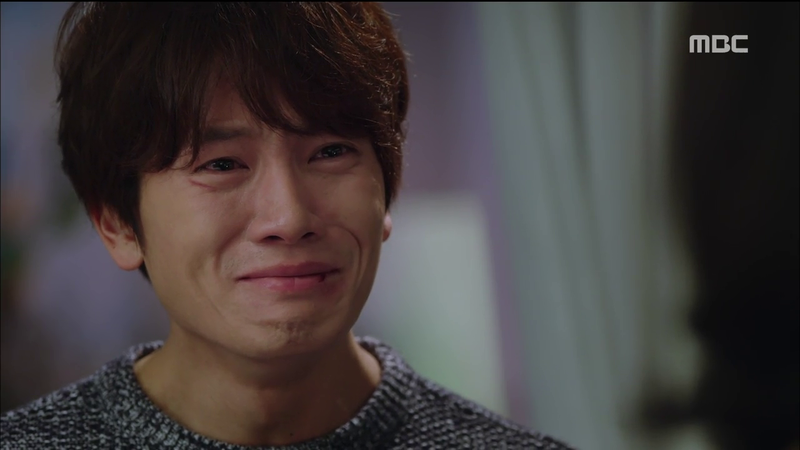 I was thinking ‘how awesome it would be if Ri Jin defied k-dramaland and was like, “you’re not leaving! You’re staying beside me.” ‘. But this could just be wishful thinking on my part. Fingers crossed with you chingu! Thanks for the awesome screencaps! I love that you’re as into this show as I am! 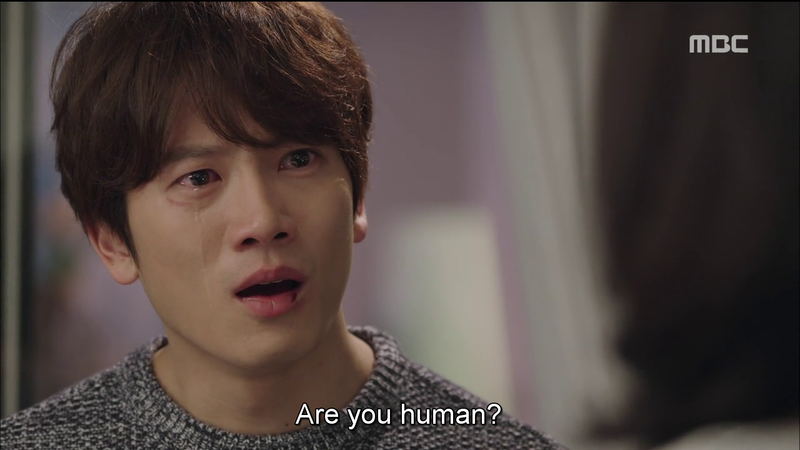 Ji Sung is amazing at making CDH really _adoring_, as you say. At the same time, I’m really mad with CDH right now, though I don’t know whether it’s Noble Idiocy or not. CDH does think he’s being noble by sacrificing his happiness. He could perhaps be equally helpful by staying by her side. The awesome thing about KMHM is the writer doesn’t try to convince me it’s noble. I think, as you say, CDH feels guilty, and runs away because he doesn’t know how to deal with his memories. I’m telling myself that he still believes in “facing things together,” but that he has no idea how. Because I want to forgive him! C’mon, CDH, don’t return to being an isolated hermit!